The aftermath of adultery isn't pretty for anyone involved, but when it's a celebrity who's supposedly done the dirty deeding, things can get especially messy. From Oscar-winners to reality stars, and singers to sports icons, these celebs have dealt with more than just public disdain for their bad bedroom behavior — it's also taken a toll on their careers. Some celebs, like Jude Law and LeAnn Rimes, have faced the music and addressed their bad press head-on — owning up to the circumstances of the past. Others, such as Meg Ryan and Ryan Phillippe, have pushed back, eventually claiming that enough is enough. The careers of some scorned stars — here's lookin' at you, Tiger Woods — are showing signs of new life, while others — cough cough: Jesse James — are going nowhere fast. Let's take a closer look at some celebs who were entangled in affairs that ruined their careers. During Meg Ryan's heyday, she was one of America's most in-demand screen sweethearts. Ryan nabbed the romantic lead in a slew of successful pictures that included Sleepless in Seattle, When Harry Met Sally, City of Angels, and You've Got Mail, but her girl-next-door image was completely sullied when rumors emerged about a tryst with Proof of Life co-star Russell Crowe. The tabloid-frenzied affair was publicly perceived as the reason for her divorce from her husband of nine years, Dennis Quaid, and led to a serious decline in her popularity. "I definitely have moments of wanting to straighten it all out and tell everyone what really went down, but you know, who would I be proving anything to?" she told Harper's Bazaar (via People) of the media fracas that followed her seemingly salacious split. She also denied that her fling with Crowe was the reason for the divorce: "My marriage was breaking up long before it became a matter of public discussion." Though there may be plenty of blame to go around, it was Ryan's career that suffered a dramatic slump. Proof of Life bombed at the box office, and the Golden Globe-nominated actress has yet to wield the marquee status that made her such a household name in the '90s. Billy Crudup put the "crud" in his own name when he notoriously ditched his then-seven-months-pregnant girlfriend of eight years, actress Mary-Louise Parker, for his Stage Beauty co-star, Claire Danes, in 2003. Before the bad publicity, Crudup had earned Hollywood headliner status in films such as Without Limits, Almost Famous and Big Fish. He was fast establishing himself as a true talent on his way to the top, but the aftermath of his highly-publicized betrayal impacted his reputation and star power. More than a decade later, Danes reflected on the avalanche of bad press that accompanied their romance. "That was really hard," she told Howard Stern (via Us Weekly) "I was just in love with him. And needed to explore that and I was 24 … I didn't quite know what those consequences would be." Her career rebounded, and today she's well known for the long-running series Homeland, but Crudup's superstar status fizzled. He still gets plenty of work, but he's often a supporting or ensemble actor rather than a leading man. On the up side: He reportedly has a great relationship with his son, William Parker, and he thinks his best years in Hollywood are yet to come. "I feel like my fifties are when I'm going to really shine," he told Mr. Porter. 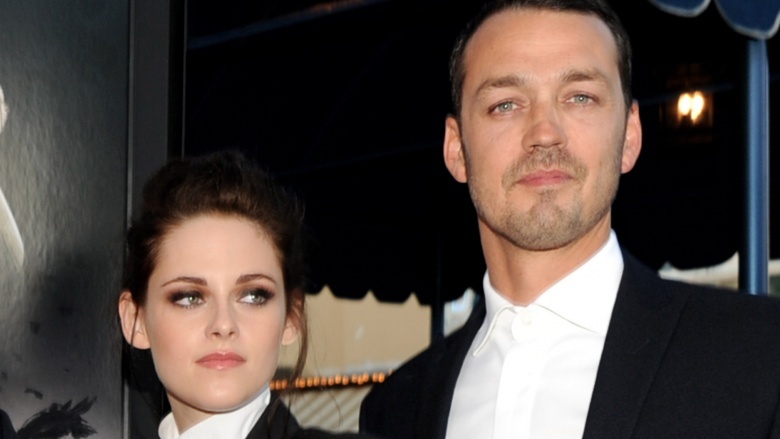 When this British director was chosen to helm Universal Pictures' fairy tale live-action vehicle Snow White and the Huntsman for his feature film debut, it seemed like the start of a promising career for Rupert Sanders, but just a few weeks after the film's lackluster theatrical debut, he and Huntsman star Kristen Stewart were captured in a compromising position together. Both issued public apologies for stepping out on their significant others — Stewart had cheated on her Twilight co-star Robert Pattinson and Sanders was unfaithful to his wife of ten years, Liberty Ross, with whom he has two kids. KStew fizzled, Ross and Sanders divorced, and nothing substantial transpired between Stewart and her boss, who were both absent from the film's sequel. While Stewart's career has continued to progress following the scandal, it took Sanders years to secure a second feature directorial gig with 2017's Ghost in the Shell, which was crushed by critics. At the time, he was still imploring the public to forgive and forget. "Everyone makes mistakes. I am bound to make more mistakes, and I wouldn't expect my life to be exciting if I didn't," he told Vanity Fair, adding, "If you took people off the table for a momentary lapse, there would be no one making art." Jude Law's dalliances with his children's nanny became a true celebrity spectacle. The actor's paramour went public with the alleged details of their romantic episodes, and so he eventually issued a public apology for the affair, declaring that he was "deeply ashamed and upset." It wasn't the first time he'd been accused of stepping out, but the high-profile nature of his relationship with actress Sienna Miller made Law's cuckolding that much more damaging to his career. Before his transgression, Law enjoyed A-list status with leading roles in The Talented Mr. Ripley, Cold Mountain, and Closer, but after the affair, it took years for him to recoup his mainstream appeal by way of the Sherlock Holmes films. He career is doing just fine these days, perhaps because he's keeping his personal life low-key. 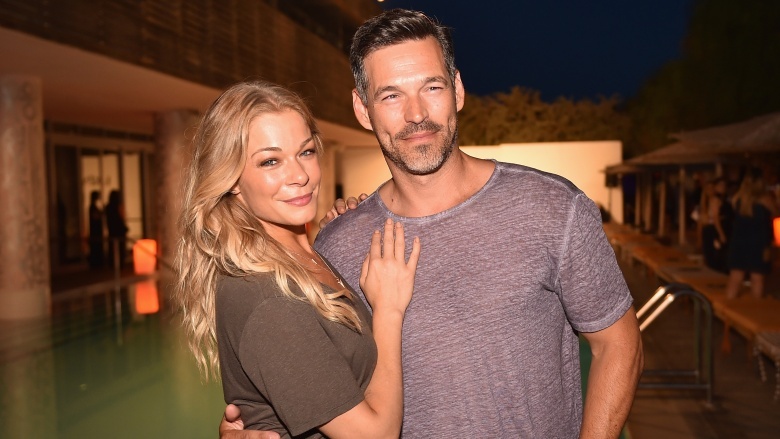 The Twitter wars and shocking headlines that still surround LeAnn Rimes marriage to actor Eddie Cibrian make it easy to forget that she's actually a renowned country music artist and author. Rimes met Cibrian, who was then married to future The Real Housewives of Beverly Hills star Brandi Glanville, while she was on the set of the 2009 TV movie Northern Lights. Rimes was also married at the time to dancer Dean Sheremet. The demise of their respective marriages and the lasting bitterness with Glanville, who is the mother of Cibrian's two children, continues to overshadow Rimes' professional pursuits. Rimes' acting career stalled, and her record sales have also suffered. Before the affair, she'd nabbed a whopping six Grammy nominations (and two wins). After the scandal? Rimes earned just one Grammy nod in 2011 for "Swingin'," and her 2013 album, Spitfire, tallied disappointing sales, despite it being her turn to tell "the truth" about all that personal drama. Cibrian's career hasn't fared any better. In fact, in their reality show — yes, they decided to create a VH1 series called LeAnn and Eddie — he actually defends himself against haters who think he's living off his wife's music earnings. "Contrary to what some people think [pretends to cough] my ex-wife, I do actually work," he says on the show (via the Daily Mail). Few professional golfers have ever earned the kind of household name status of Tiger Woods, and even fewer have watched their reputations sink into the mud quite like his did in 2009, when his many extramarital affairs were unearthed. Woods had been married to Swedish model Elin Nordegren since 2004, and she'd just given birth to their second child when the tabloids unearthed one of Woods' relationships with another woman. Nordegren's own investigation reportedly exposed even more dalliances, prompting a single-vehicle crash heard 'round the world. No longer a family-friendly face, Woods lost millions in endorsement deals and was even blamed for billions in shareholder losses. His golf game suffered as a result of the personal drama, too. Woods' career on the green briefly recovered in 2013, but it didn't take long for his personal proclivities to tarnish his image yet again. New allegations surfaced, claiming he'd cheated on girlfriend Lindsey Vonn, a beloved Olympic skier. Coupled with his 2017 arrest for driving under the influence, it looked like the damage done to Woods' reputation may be irreversible, or was it? In September 2018, Woods earned his 80th PGA Tour win, and according to ESPN, "thousands of spectators engulfed him on his walk to victory while chanting and cheering his name." Did the public forgive and forget? Will corporate America follow suit? Only time will tell. Although he broke into the entertainment biz in the mid-'90s, thanks to the popularity of his grunge rock band Bush, Gavin Rossdale was largely known as Mr. Gwen Stefani after the turn of the millennium. His long-lived marriage to the former No Doubt frontwoman — who went on to enjoy a solo career and made a name for herself as a bold fashionista, socialite, and The Voice coach — kept Rossdale's on our radar too. Stefani even made a few cameos on his tour stops to increase the buzz surrounding his shows, but that all changed when Rossdale allegedly cheated on Stefani with their nanny. Stefani supposedly found out about it through illicit texts and photos that were discovered on one of their son's tablets. 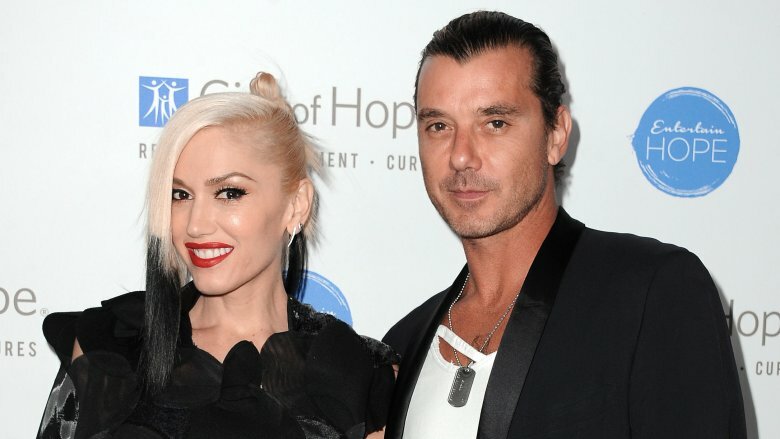 At this point, it looks like Rossdale may forever be known as the guy who cheated on America's punk princess. His subsequent professional efforts, such as starring in The Voice UK, have been overshadowed by his personal drama — and by Stefani's in-your-face rebound romance with country star and fellow Voice coach Blake Shelton. Rossdale might have made a name for himself as a heartthrob musician, but nowadays, even he knows he's got some work to do to restore his reputation. Another half of a Hollywood power couple who ended up embroiled in a nanny scandal was Oscar-winning actor Ben Affleck, whose life became the stuff of tabloid fodder as he simultaneously realized his lifelong dream of portraying Batman for Batman v. Superman: Dawn of Justice. Affleck allegedly cheated on his wife, actress Jennifer Garner, with their children's nanny in 2015. 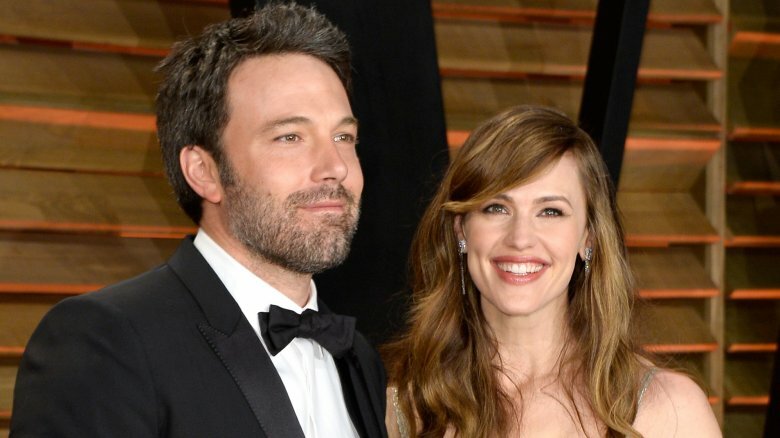 Affleck's rep denied the reports, but the couple separated soon after the rumors emerged. That wasn't the last of the cheating allegations overshadowing Affleck. When his relationship with SNL producer Lindsay Shookus was made public, reports claimed they were fooling around for years before his divorce from Garner was announced. Affleck was riding high before his reputation became embroiled in bad press. He won an Academy Award for best original screenplay for Good Will Hunting and another Oscar for best picture for Argo, not to mention earning critical acclaim for his work in Gone Girl, among other career wins. However, his star status has faded significantly since the implosion of Bennifer. Not only has Affleck endured several box office bombs, including Justice League and passion project Live by Night, but he's also become something of a punchline. Perhaps no celebrity has been quite as universally shamed for his bad behavior as Jesse James. During his marriage to beloved actress Sandra Bullock, he was a successful motorcycle manufacturer and reality TV star. He founded West Coast Choppers and starred on the hit series Monster Garage. The Austin-based muscle man was married to Bullock for several years and stood at her side as she won the Oscar for best actress for The Blind Side in 2010. Soon after her stellar awards season, which included a Golden Globes speech dedicated to James, allegations about his infidelity exploded in the press. It got so bad that James publicly apologized to his wife and checked into a rehabilitation facility. As lurid details about his behavior flooded the tabloids, Bullock filed for divorce. James quickly struck up an ill-fated relationship with LA Ink's Kat Von D, but that ended in an even more salacious news cycle. He has since had trouble rebuilding his reputation and his career. He attempted to get back to what made him popular in the first place — his talents as a motorcycle mechanic — with the 2012 Discovery Channel series Jesse James: Outlaw Garage, but that show kicked the bucket quickly. The amount of fan furor that followed the demise of Reese Witherspoon and Ryan Phillippe's relationship was intense. The pair had starred as romantic leads in the angsty 1999 romantic drama Cruel Intentions and attracted a generation of ardent followers deeply invested in the couple's marriage and two kids. Many thought theirs would be a happily every after, but the union fell apart after eight years. Fans were furious when rumors emerged that Philippe cheated on Witherspoon, who had thanked her "wonderful husband" for "loving [her] so much" as she received the 2006 Academy Award for best actress for Walk the Line. 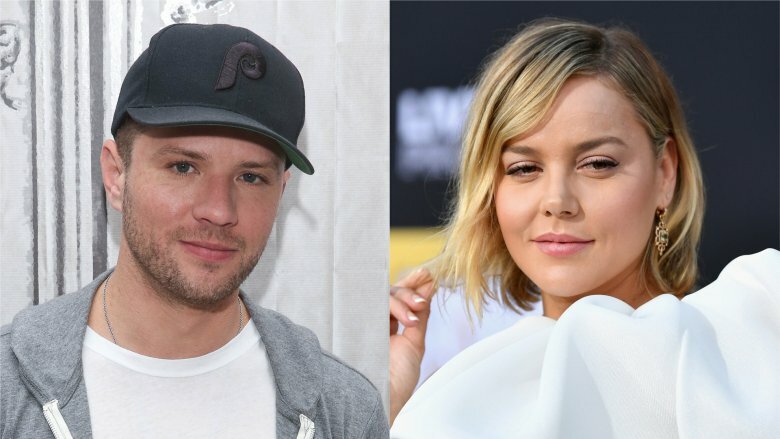 That very same year, Philippe allegedly stepped out with his Stop-Loss co-star Abbie Cornish. Even though their divorce filing cited "irreconcilable differences" rather than an affair, and even though he said Cornish was not the genuine cause his split, and even though the exes successfully co-parent their kids, Phillippe's career has never quite recovered from the negative press associated with the breakup. Seemingly overnight, he lost the Hollywood heartthrob status he'd once boasted in films such as I Know What You Did Last Summer and Flags of Our Fathers. He has since grown weary of the public's vitriol. "I'm tired of getting s**t on," he said. "I don't feel like I deserve it. Things happen."